Salzburg, Austria is a beautiful small town best known around the world as the setting for "The Sound of Music" and the birthplace of Mozart. The streets in the old town are narrow and cobblestone, lined by small apartments and shops. I visited here with Nyssa and my brother in 2001. We happened upon an intriguing shop with hundreds of what looked to be eggs in the window. And they were eggs... painted eggs. Thousand upon thousand, rooms filled with painted eggs... chicken eggs, goose eggs.. even the rare ostrich egg. 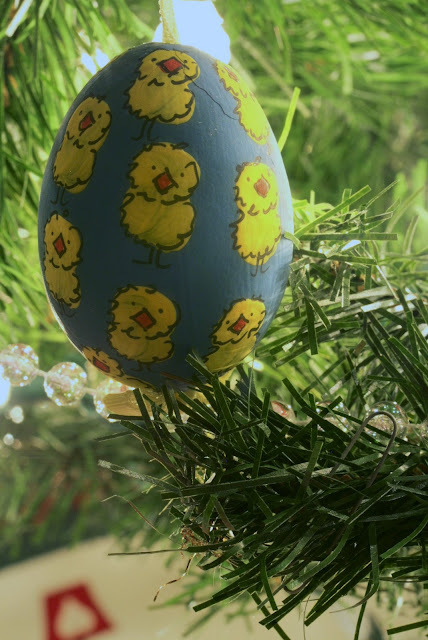 The eggs had been emptied by blowing and cleaned; then artisans painted the outside and a ribbon is attached. It was an amazing place, eggs with all sorts of themes; poinsettias for Christmas, Father Christmas, snow covered churches and others. There were also other themes: music, cats, dogs, animals, birds, flowers; any thing you could possibly imagine... they had it! I bought two dozen and watched as they packed them in cardboard egg cartons. With great care I brought them back to the states and they grace my "European" tree each year. Somehow I managed to only break one and crack two others. Someday... I would LOVE to find this shop again. The botanical garden explodes in endless shades of pink and white and green in the Spring; many of the flowering trees are planted in a small grove bordered by the field of native wildflowers. 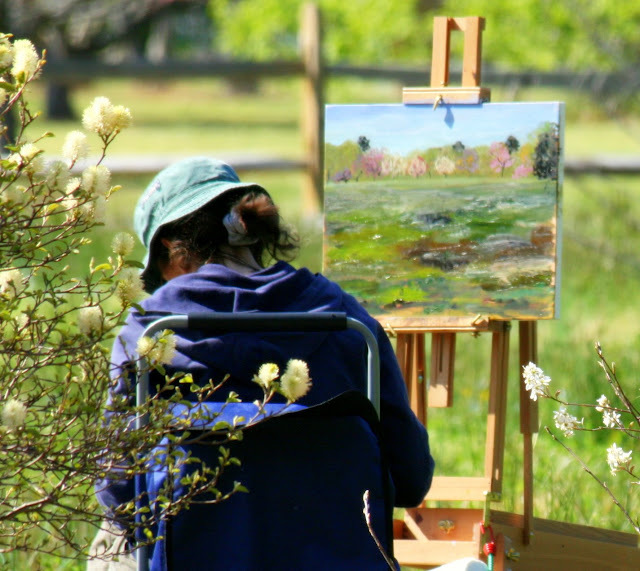 This artist was busy and engrossed in her work, a painted rendition of the trees just beyond her canvas. I wish I could capture the beauty of nature this way! The little girl in the middle is the birthday girl, now grown up and recently married. 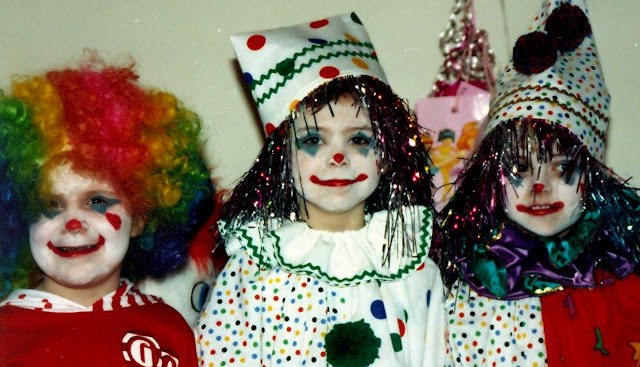 My little clown is on the right... she too is grown up, but not married. She is currently chasing tornadoes in Oklahoma with other graduate students. Anyway, a neighbor did work as a clown on occasion for churches and she painted their faces and helped them make balloon hats and animals. It was January and during the party, the snow began to fall... a rare treat in Mississippi. The clowns quickly changed clothes into warmer duds and headed out into the snow..... a strange sight indeed. You see, they kept their painted faces on... scaring all who were out and about. 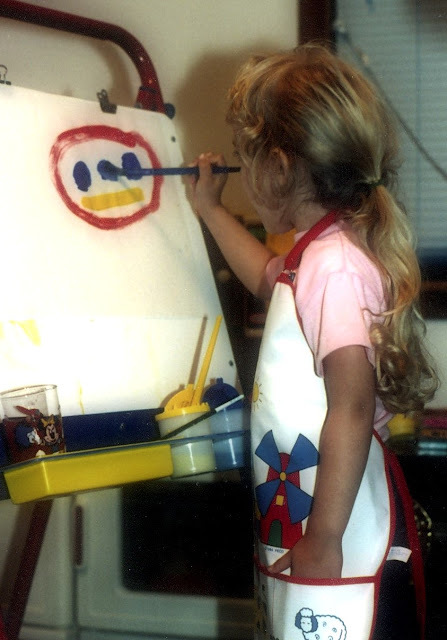 Uncle Stephen gave her this easel for Christmas when she was three and she loved to paint... with water colors... but I never was sure if it was the painting she loved or the wearing of the apron and the messy hands. But, I still kept several of the masterpieces.... for posterity, you know. The Saturday Photo Hunt theme for this week is "painted". This should be fun! SPH: A "Better" World Through Chemistry? ?